Given the convergence of burgeoning enrollments in CS across many universities and colleges in the United States and the need to re-imagine the way computer science is taught to address 21st century challenges, the School of Computer Science at Carnegie Mellon University is hosting a 2-day summit in Pittsburgh, Pennsylvania, pending anticipated funding. The summit will focus on reviewing recent reports about increasing enrollments and brainstorming ways that the education community and supporting constituents can work toward a fundamental transformation in CS undergraduate education. The summit will bring together up to 100 CS education experts from various college levels, including research universities, liberal arts and minority colleges, community colleges, computing organizations and associations and leading industry partners to come up with common goals that can be brought to the greater CS education community. The summit will center on a number of key questions that seek to understand growing enrollment pressures in various types of colleges and regions, the need to continue efforts to increase diversity in computing, the readiness of the computing education community to embrace institutional changes and whether it is time for a larger, broader summit of CS education leaders to start to develop a roadmap for broad and sustained change at the undergraduate level similar to a recent effort done in the field of biological sciences. 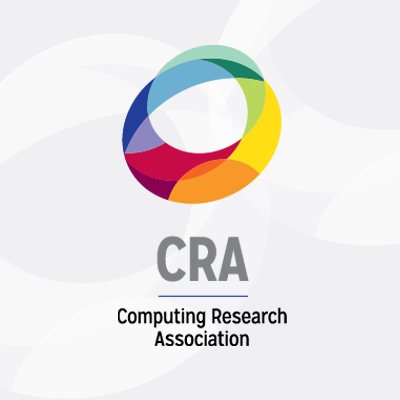 We hope that bringing together constituents from a wide variety of regions and audiences can lead to future collaborations to develop new solutions to address the growing interest in computing at the undergraduate level. The summit will run from Monday, October 2 (morning) – Tuesday, October 3 (ending early afternoon) in Pittsburgh, PA very near the Carnegie Mellon University campus in the Oakland section of Pittsburgh. Attendees are expected to attend the entire summit and should arrive by the evening of October 1. Attendees will be expected to return home the evening of October 3. Several pre-readings will be provided before the summit for discussion at the summit. We are looking for a diverse community of participants based on geography, level of instruction, service to underrepresented communities, and demonstrated leadership in the CS education community. Academic participants should have detailed knowledge of the curriculum, demands and goals of their current programs so they can contribute fully to the discussion. Although we would like to invite all interested community members, seats are limited. Please limit requests from one university or college to one representative only. Please indicate your availability and interest by Tuesday, September 5, 11:59PM Eastern. For accepted applications, we will provide transportation, hotel and other information soon thereafter. Pending anticipated funding, all transportation, meals, airport parking and hotel up to $1,500 will be reimbursed, and meals during the summit will be provided. If you know of someone who would be a good candidate to attend this summit, please forward this email.